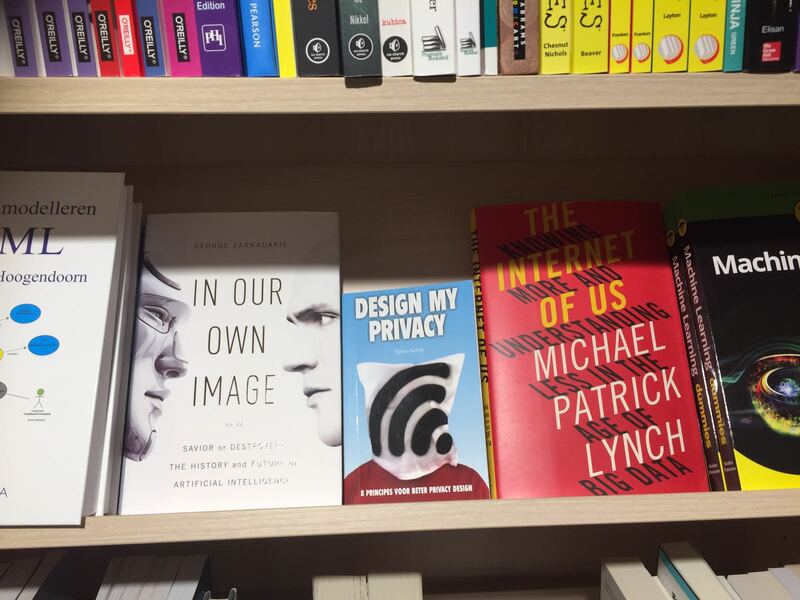 This book helps designers and design students understand both practical and ethical aspects of creating privacy friendly services in general, and Internet of Things devices in particular. It was published in 2016 as part of an initiative by the MOTI design museum to educate and engage designers around data issues. Using a lot of examples, interviews and even a quiz, the book proposes 8 principles that every designer should follow when making ‘smart’ things and services. These principles explore organizational, technical, ethnographic and philosophical questions. Privacy first. About planning ahead, both in conceptualization and security. Think like a hacker. Many pitfalls can be avoided by better anticipating and concepting options for abuse. Collect as little data as possible. About legal limits and liability management. Protect the data. About encryption and pseudonymity. Understand identity. Good products support a wide variety of human social interactions. Open the black box. Help users understand what is going on in the algorithmic mind of your creation. Turn the user into a designer. The end users are better able to adapt your creation to their specific situation. You cannot anticipate every situation your creations wil be used in, so allow space for the user to adapt. Technology is not neutral. Because data and algorithms always reflect a certain moral position, our creations are more powerful than we think. Bits of Freedom foundation (Dutch version). Also check out this awesome article in the Financieel Dagblad (Dutch Version). You can buy the book in the larger Dutch bookstores, such as Scheltema. Online, the Dutch version is available at BIS publishers or at Bol.com for 12 euro. An English translation became available in november 2016, and can be bought at sites like Amazon or Bol.com for 15 dollars. The Dutch version is also available to download for free under a Creative Commons CC BY NC SA license. The book is used by multiple design schools in the Netherlands, such as the HVA, AVANS and the HRO. The project was initiated by the wonderful MOTI museum, as part of the Crypto Design Challenge. In that project I also functioned as master of ceremony at events. My colleagues at SETUP helped me make the time. An enormous amount of people lent their knowledge and support. I especially want to thank Mieke Gerritzen and Ward Janssen and Jelle van der Ster and Eva for their support and patience. Financial support came form the HVA school of Design, and through funds such as the Beste Buren and The Art of Impact.